Looking for experts in computer repairs Brisbane? Less Stress Computer Services are specialists in all forms of computer, laptop and PC repairs. When it comes to your computer, several things can go wrong requiring you to seek repairs. Hard drive problems are some of the most common issues that desktop computers and laptops can have. The hard drive is an essential component of a computer system – problems with your computer hard drive mean you are at high risk of losing many important documents, memorable images, music files, videos, and other files compiled over many years. This risk of losing everything is very real, especially if you have never backed up your files. This factor applies to the connection of a computer to the internal hard drive. If the cable that connects the motherboard of the computer to the internal drive is faulty you will experience endless problems. Stay safe by disconnecting the power cord from the power source and also turn off the computer when checking the physical cable connection for faults. When running your hard drive, you may hear a strange sound, such as whirring or clunking, this can be a sign of a failing hard drive. 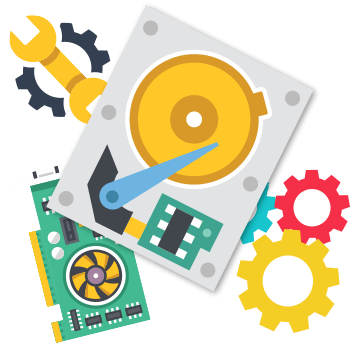 If your hard drive is producing a clicking sound, it’s very likely that there is internal damage that demands urgent hard drive repairs. However, if the hard drive suddenly stops producing any sound while you are running it, then the printed circuit board (PCB) may have become faulty. Whether it’s your hard drive or something else wrong with your computer, it’s important to seek professional help. In the era of the internet, people have discovered the DIY school of doing things. It is good to save money but some things, such as computer repairs should only be handled by experts. Why do I need Professional Computer Repairs? Professional computer technicians know their stuff. 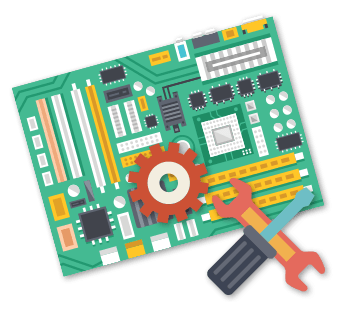 A DIY repair attempt can prove very costly, but with a professional you can be sure your computer is in good hands. Your repairs are done much quicker when they are handled by an expert. Going to a professional is like going to a one-stop shop – everything is under one roof and all the parts and services you need are available, as well as invaluable advice. For expert computer repairs Brisbane, contact Less Stress Computer Services today.